Before entering politics, Hillary Clinton’s running mate made his name as an attorney on a prominent “redlining” case. Sen. Tim Kaine (D-Va.), a Harvard Law graduate, spent a good part of his law career on fair housing issues, according to a Law.com report. “I brought dozens of lawsuits when I was in private practice, battling banks, landlords, real estate firms, insurance companies and even local governments that had treated people unfairly,” Kaine said Saturday at a Clinton rally. 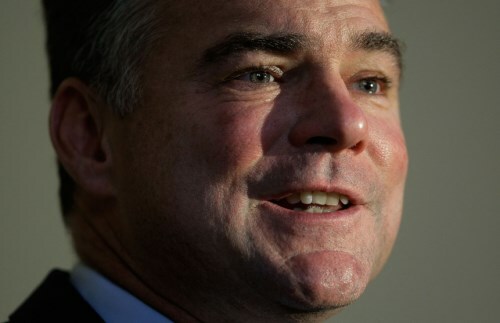 In one of Kaine’s highest-profile cases, he won a $100 million jury verdict against Nationwide Mutual Insurance in a suit accusing the company of “redlining” – an illegal discriminatory practice in which minority neighborhoods are denied access to housing opportunity. Kaine represented a nonprofit, Housing Opportunities Made Equal, which alleged that Nationwide had discriminated against African-American neighborhoods in Richmond, Va. The jury found for the plaintiffs, returning a $100 million verdict against Nationwide, according to Law.com. The Virginia Supreme Court later overturned the verdict. However, Nationwide eventually reached a $17.5 million settlement with HOME – which netted Kaine’s law firm $5.8 million in fees.